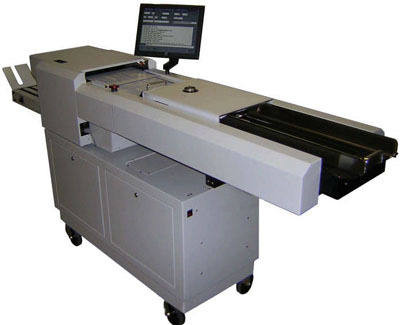 GBR 420T Smart Feeder and Folder - Roberts Business Machines, Inc.
GBR 420T Smart Feeder/Accumulator/Folder, the premier feeder folders of the mail industry, assemble, accumulate and fold personalized mail. At a speed of up to 30,000 documents per hour, the GBR 420T has an advanced touch screen, which allows for operator programmable BCR multiple job set-up and recall. 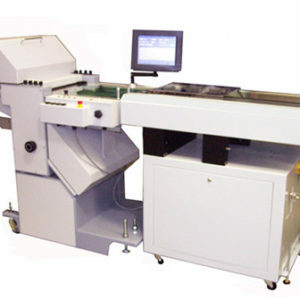 The Smart Feeder/Accumulator/Folder read a wide variety of optical codes (line code, industry standard barcodes) and have the added features of either six or eight intelligent station selection, dual metering with postage weight calculation and divert, envelope suppression and sequential start-up and shut down. 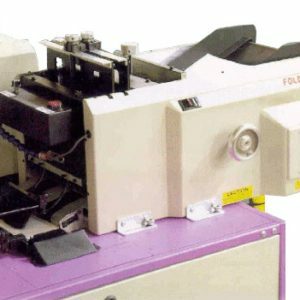 The Smart Feeder/Folders can convert a dumb inserter into an intelligent system. They can also operate as an off-line system by simply purchasing the off-line conveyor option.